“We stand on the brink of a technological revolution that will fundamentally alter the way we live, work, and relate to one another,” wrote Klaus Schwab in The Fourth Industrial Revolution. The founder and Executive Chairman of the World Economic Forum described an era that will be “characterized by a fusion of technologies that is blurring the lines between the physical, digital, and biological spheres”. He called for governments and citizens to make sure these cutting-edge technologies are used to benefit humankind. This revolution, unlike any that has gone before, is already underway as artificial intelligence (AI), robotics, automation and big data analytics begin to permeate our everyday life. The Organisation for Economic Co-operation and Development (OECD) suggests that over the next 10 to 20 years, 14 per cent of jobs are at high risk of being fully automated, while another 32 per cent are at risk of significant change. An estimated 133 million new roles may emerge globally by 2022, according to the World Economic Forum’s Future of Jobs 2018 Report. The range of roles that are set to experience increasing demand are based on the use of technology but also “those roles that leverage distinctively ‘human’ skills”, says the report. Hans Vestberg, CEO of tech company Verizon Communications, argued in an article for the World Economic Forum last year that individuals will need to learn how to be the “best stewards of technology” and that studying humanities is as important as science, technology, engineering and mathematics (STEM). “What we really need, in short, are genetic engineers who have deeply absorbed Brave New World and historians who are capable of sophisticated data analysis. The sciences have ever more to give to the humanities and vice versa,” he says. So how do we prepare the next generation to be able to navigate this new world? It is a topic that is high priority for the IB and its teachers. Joel Adams, IB Diploma Programme (DP) Curriculum Manager, Visual Arts and Digital Society at the IB, led a workshop at the Teacher Skills Forum 2019 in Jordan on the skills needed by students in the future. Adams says that in order to live, lead and thrive in a digital society, students will need to think and act as self-directed learners; empathetic and creative collaborators and communicators; critical and informed users; principled citizens and leaders; and imaginative and ethical designers. Students will also need to act ethically, according to Dennis Ross, Head of High School Technology at The American International School of Johannesburg (AISJ), South Africa. “Digital technologies often put power into the hands of the individual and it is their own morals, values and ethics that determine what they do with that power. Those are central aspects that are explored in studying social science,” he says. Students need to be able to recognize how AI is impacting their lives now, and teachers should commit to having classroom conversations about AI, adds Ross. Teachers should empower students to not be passive and to question. “As educators, we are able to model the craft of questioning that will drive student inquiry and fire-up the desire to know more,” says Ross. 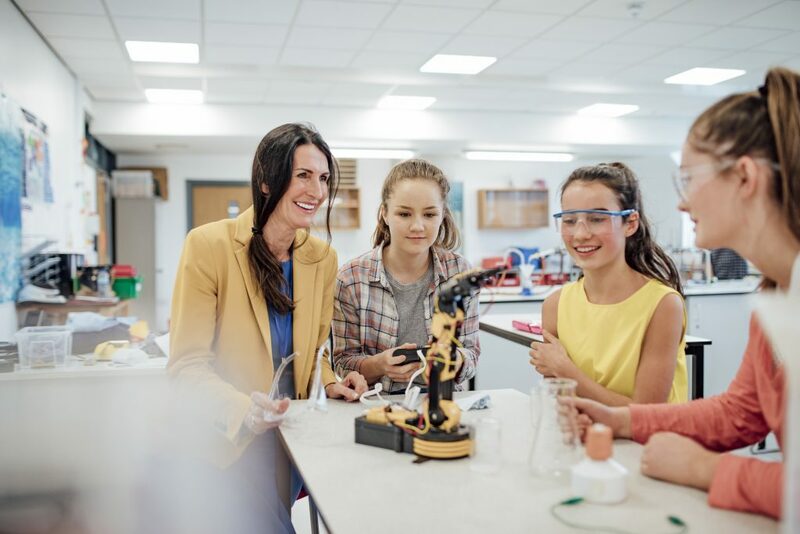 Teachers are in a position to coach students to become master learners, to develop their own skills to a level where they can understand decisions taken by businesses and governments and become informed participants in their world. Shadrach Pilip-Florea, Middle Years Programme (MYP) and DP Humanities Teacher at Riverstone International School, Idaho, US, agrees. “In today’s world, where the collective knowledge of human experience is increasingly just one Google search away, knowing the right questions to ask has never been more important,” he says. In the DP information technology in a global society (ITGS) course, he asks students to design their own digital utopia, with the one caveat being they have to be real-world technologies. Part of this assignment is also to formulate strategic policies to govern technology. For example, when students present their utopias to the class, Pilip-Florea will add a twist: students listening to the presentations have to come up with a way to use those same technologies and policies to make a dystopia. “Technology fundamentally changes our social interactions and it can be put to positive or negative uses, and unless we consider all potential implications as we design, regulate and use digital technologies we might just find ourselves in a dystopia of our own making,” he says. Pilip-Florea believes that empathy is probably the single most valuable lesson a student can learn to inform critical thinking. Empathy and imagination are crucial for understanding the shortcomings and ramifications of digital models. “Even more importantly, they are the skills we need to innovate. To use those models to build a better world,” he says. Of course, students need the technical and design abilities to be imaginative and ethical designers. 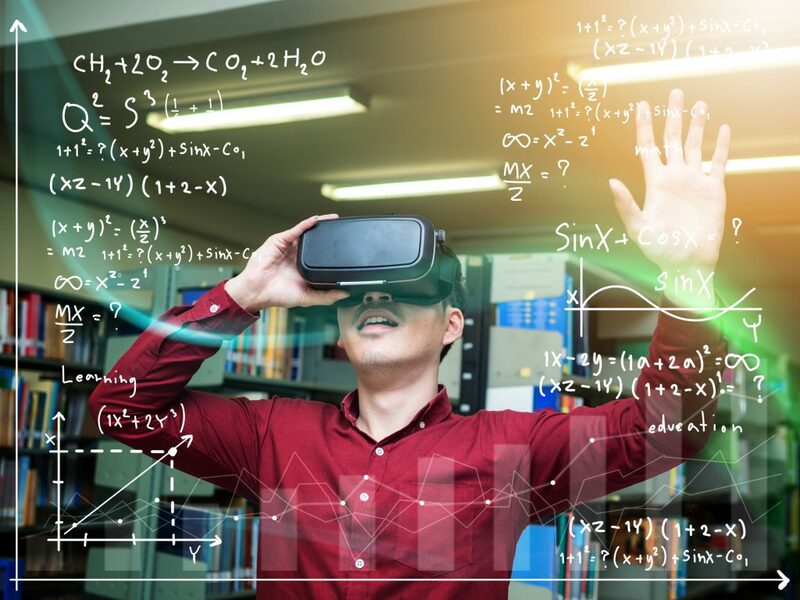 Science, mathematics, design and art all have a huge role to play, equipping students with skills to create and use technology to solve problems. Joyce Lourenco Pereira, MYP and DP Computer Science Teacher at Atlanta International School, Georgia, US, says she aims to foster four connecting ideas in her computer science learners: to meet human needs efficiently; trace stories of ideas and participate in developing new chapters; uncover patterns and trends to make informed decisions; and be empowered to take action for impact within our circles of influence. One of her statements of inquiry for the MYP computer science course is “The possession of power, access and knowledge carries a moral obligation”. The interdisciplinary framework of the MYP also helps students see the connections between subjects. Pereira cites the Grade 8 science, technology, engineering, arts, mathematics (STEAM) course she teaches where the design cycle is heavily used when developing products. And in other computer science lessons, students use algorithms to recreate works of art by Pablo Picasso and Romero Britto. Technological changes in our society are happening rapidly. The OECD suggests most workers will need to adjust their skills mix through continuous learning. The emerging digital society (first teaching in 2021) course updates and builds on the current information technology in a global society (ITGS) course. About two years ago, the IB and a team of educators decided that the time was ripe for significant change to this course­ – not only to update its content, but also to integrate the best practices for student inquiry, experiential learning and collaboration. This is not a course about knowledge recall. We always say, if Google or Siri can answer, it isn’t the best use of learning and teaching time. Young people are increasingly expecting their formal schooling to reflect the way that the world and business works. The digital society course is premised on the notion that teachers and students can become partners in this preparation for the world and work, and that a few core competencies – like media literacy, digital citizenship and design-thinking practices – can add real value to student’s life and experiences when they leave the classroom.